With fast turnaround times, quality service and a professional attitude, CRT Network Solutions will be your helping hand in a time of emergency. We pride ourselves on our efficient response to your critical issues, providing minimal disruptions to your business and honest solutions to your IT problems. Whilst on site our engineers are friendly, experienced and will consult with you before leaving to ensure any problems have been resolved. Our engineers are trained to be proactive in finding flaws which could cause a system break down, for instance: servers that don’t have a UPS attached, back-up systems that haven’t been installed correctly or work stations that don’t have anti-virus installed. Our engineers love to give assistance and in some cases we may even find a better way for you to become more efficient to conduct your business. 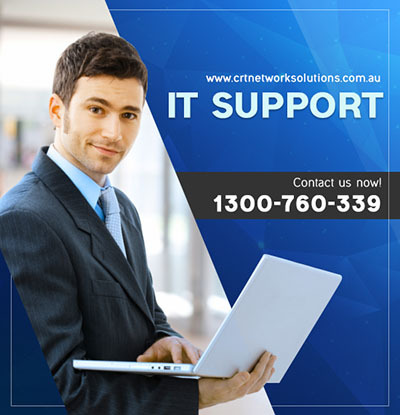 We provide technical support remotely for servers, PCs, Macs & Smartphones. Using remote access we can quickly access, view, and fix remote devices, without pre-installed software or sensitive admin passwords being disclosed. The advantages of remote support are quicker turnaround times and reduced costs.